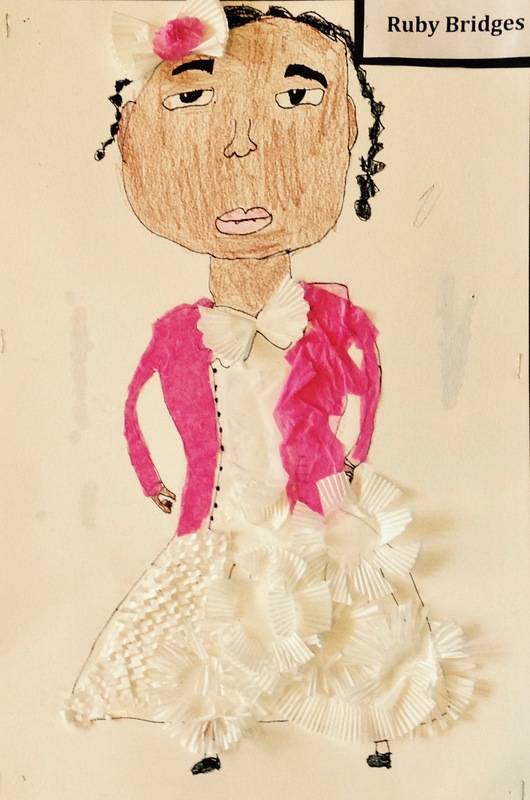 As a part of the Third Grade’s biography unit, readers and writers have been studying people who have brought important, nonviolent change to our world. Each student chose a Great Changer to research. After they became experts on their Changers, students wrote teaching poems and created cut paper collages of their important people. Some Great Changers are very well- known and others we had never even heard of before! Third Graders have been learning that anyone can be a Great Changer and can make our world a better place for all people. Third Graders are so proud of their work that teachers have scanned each piece of art and made it into a greeting card. Each card has the portrait on the front and the teaching poem on the inside. The Third Grade is selling these special and important cards to raise money to support a new Third Grade initiative called The Community Friendship Project. The goal of this multi-year project is to partner Third Graders with opportunities to make an impact upon their community. Through Community Friendship, Third Graders can create local change and develop the understanding that they make a difference in the world. This year, the goal is to purchase Free Little Libraries and install them at public bus stops around Amherst. Great Changer Cards are available in mixed packs of 4, along with envelopes, in the Crocker Farm office. Please make checks out to The Community Friendship Project.